UFW Stories: "Vega vs. Mallory; Farmworkers vs The State of California .... and we won!!" "Vega vs. Mallory; Farmworkers vs The State of California .... and we won!!" While working at Arriba Juntos in San Francisco’s Mission District, I became aware of an ongoing dispute between Migrant Farmworkers and the State of California’s Office of Migrant Services (OMS). As a way to further bolster it’s coffers, and once again on the backs of Farmworkers, OMS decided to double the amount of rent workers had to pay while tending the fields, illegally, and without the required administrative hearing. First of all it came as a surprise that Farmworkers had to pay for the “privilege” of staying in dilapidated shanty housing, often without access to potable water, let alone education or healthcare. I aligned with The Coalition of Concerned Legal Professionals, thanks to a referral by one of my students who was also volunteering with them at the time. Together with a cadre of attorneys, volunteers, advocates and eventually politicians, we took our case to court and prevailed on behalf of the wronged Farmworkers, to the tune of over three quarters of a million dollars. The struggle continues, as we are working to make sure any residual funds after payouts are going back to the camps and ensuring Farmworkers have potable water and sustainable housing. Below you will find the Resolution Compliance as outlined by the League of United Latin American Citizens. 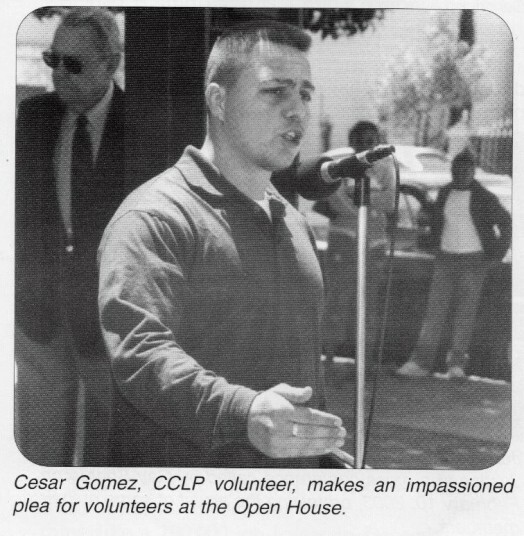 - Cesar R. Gomez, J.D.